the tired mind and body needs to be looked after. time at a desk or from physical labour. When muscles and tendons become damaged, impaired, knotted, tense, tight or immobile, our remedial massage technique can help. They are designed to stimulate the blood supply allowing toxins in the muscles to be removed. This enables the calming of the nervous system to ease pain and discomfort. 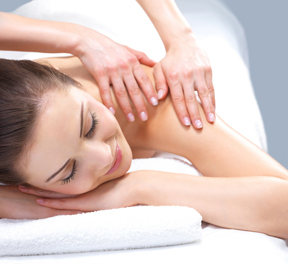 Remedial massage uses several specialised techniques to locate and repair damage and to support and speed up the body's own repair mechanisms. The massage is applied directly to the skin with oil, which ensures that the muscles associated with the disorder and mobilisation of the joint is deeply penetrated. Passive stretching moves are also used. and the easing of stiffness and tension can also be experienced through remedial massage. 15 minutes on the Chi Machine is equivalent to a 90 minute brisk walk. This wonderful little device will give you all the benefits of regular exercise and more because, not only does it oxygenate your tissues it also promotes the circulation. It is ideal for easing of back and neck pain, increasing energy and improving sleep. Enjoy emotional calm, relaxation, mental clarity and focus. Enable release from stress, anxiety, insomnia and depression. Receive a full body internal massage everyday. Alleviate tension in and align your spine. Oxygenate your entire body at cellular level. 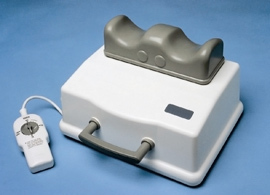 Stimulate and improve your blood circulation and blood pressure. Enables the release of drugs, chemicals and toxicity from your cells. Regulate, stimulate, and improve internal organ functions. Enjoy a no-sweat, energizing and effortless work-out via passive aerobic exercise. Increase your metabolism, thereby improving nutrient absorption. Steady weight loss if used on a consistent daily basis. This is a simple yet powerful treatment that enables the body to re-balance and re-energize by allowing toxic wastes that have been recently stored within your body to be released more effectively. This promotes an enhanced sense of wellbeing and improved health. The detox foot bath focuses on removing the toxic materials from your body, channelling it through the pores in the feet. The pores in your feet are the largest pores within your body. When you place your feet into the water, the ionator module begins to send an energy charge through the water and into your feet. The cells in your body are energized by the ions and will begin to release the toxins through your feet which include cellular debris, yeast, heavy metals and other wastes that have accumulated over your lifetime. Ear candling is a safe, simple, natural way to remove excess wax and debris from inside the ears. 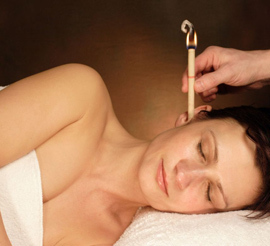 Long tapered candles are inserted gently into the ears, and then lit. The candle creates a slight vacuum effect, oxidizing, vapouring and drawing softened wax and debris from the ears. This is a very gentle and non- invasive process that dates back approximately 2,500 years to the ancient Egyptians, Chinese, and American Indian cultures. Today, it is practiced by many cultures and is taught in German medical schools.